Lifts opens in early morning from today. Happo Alpen Line will start at 6:30 a.m. in weekends and holidays until Aug. 19 (Sun) and on Aug. 10 (Fri), and Kurobishi Line will start operation 6:45 a.m. in same period. On weekdays between Jul. 17 (Tue) and Aug. 17 (Fri), Happo Alpen Line and Kurobishi Line start at 7:00 a.m. and 7:15 a.m., respectively.It had been a long time to have a fine day. There was a long waiting line in front of Gondola Base Station even before opening. I was able to see sea of clouds to the east until around 7:00 a.m. However, the clouds went up, which hanged over Mt. Goryu and Mt. Kashima-yari after that. 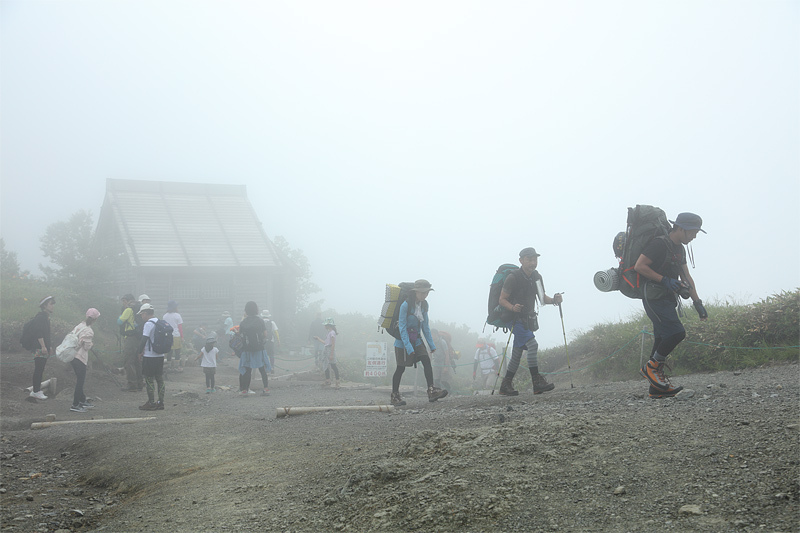 Hakuba Sanzan was fully covered with the clouds when I tried to see from Ridge Trail around 7:30 a.m.. 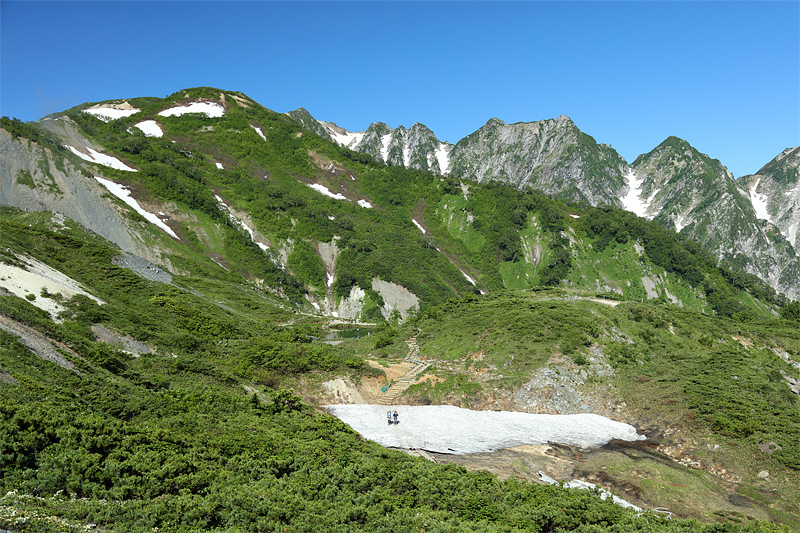 I found some white flowers along the trail, including Miyama-touki, Hanachidakesashi and Yamabuki-shoma. 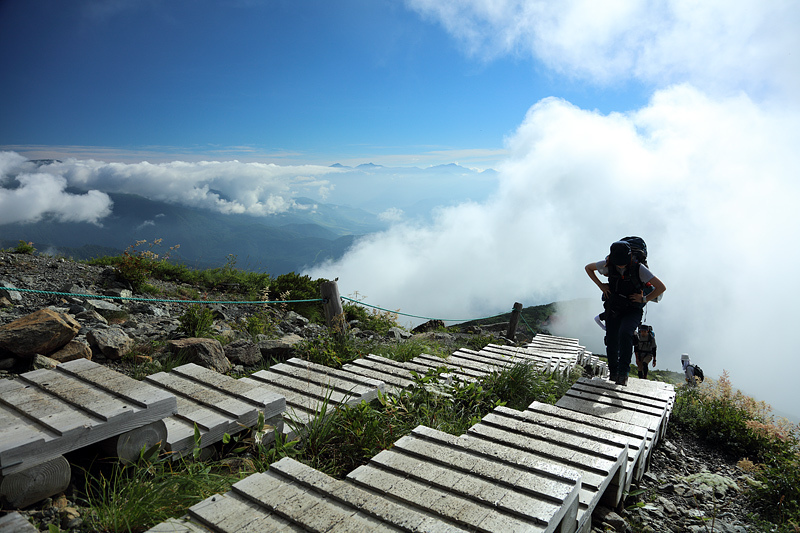 I reached above the clouds again when I reached near Happo Cairn. 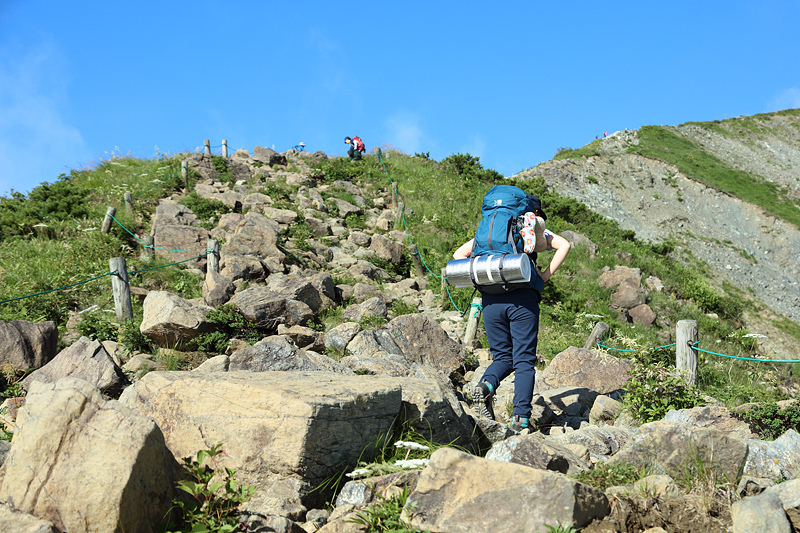 Although I rode the first Happo Alpen Line to come here, the areas around No.3 Cairn was the summer-like atmosphere and crowded with people, including those who stayed overnight at Happo-ike Sanso or Karamatsudake Chojo Sanso and those who hiked from Cafeteria Kurobishi. 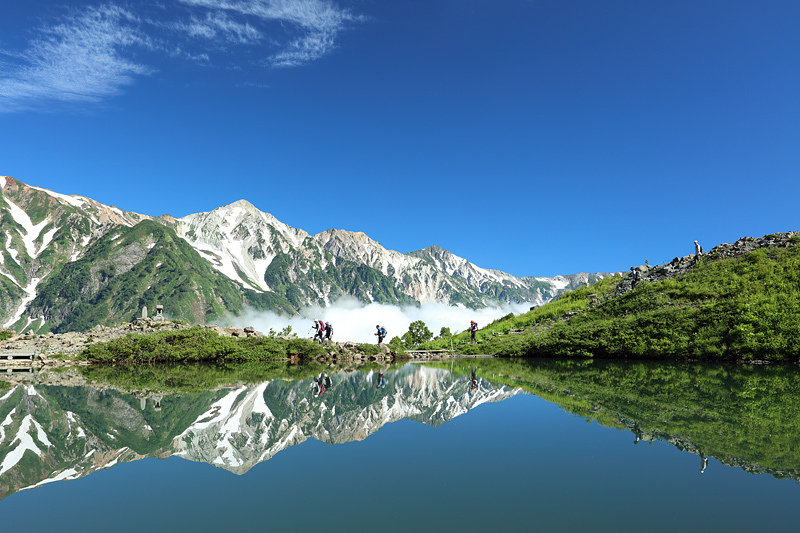 The mirror-like Happo-ike Pond appeared for the second time this season! I saw people admiring it and taking souvenir pictures one after another on the deck, which is the viewpoint of the pond.The rising clouds covered the scenery for a while around 8:30 a.m.. However, I could sometimes enjoy the view of the Northern Alps even after that. In Happo-One Nature Trail, the toilets near No.2 Cairn is now available along with the one in front of Happo-ike Sanso. There were many hikers, including families with small children. Thank you for having a chat with me. *Opening Hours … 8:00 a.m.－4:00 p.m.